From camel and biscuit to sand and taupe, last year was awash with 50 shades of beige, but 2019 has seen a new, and somewhat unexpected, hue making a bid for the minimalist colour crown. Yellow isn't a shade we've seen for a good few years now, and in previous manifestations it had a tendency to feel a little garish and make most of us look unwell, but the 2019 iteration is a an entirely different beast: less look-at-me marigold and more mellow #stickofbutter yellow. Delicate, flattering and easy to layer, this new breed of yellow is taking over where beige left off: namely, operating under the guise of colour, but in actual fact offering our wardrobes a new way to wear neutral. If you're terrified of paintbox brights, this hue might just be the one for you, and luckily, high-end and high-street brands alike have delivered a wealth of styles to inspire us for the new season. The secret to making this trend work is to treat it as though you would white, black or beige. Don't worry—it's easier than it sounds. For example, we've seen plenty of street stylers wearing pale yellow head-to-toe (see the street styler above) for a high-impact yet chic look. A pale-yellow suit worn with a white tee would do the job nicely. 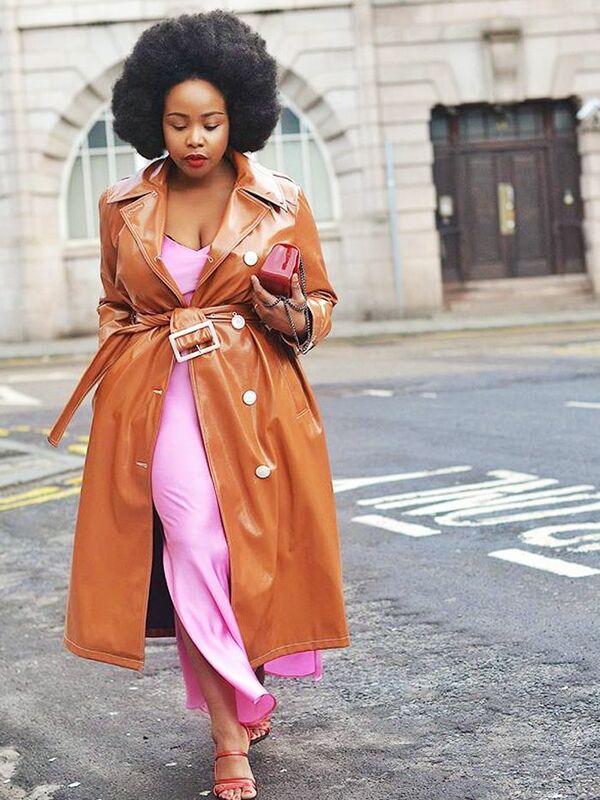 We also love how another showgoer layered a pale-yellow shirt under pastel-coloured tailored separates, as it's such a fab alternative to traditional white. Our top tip? If in doubt, go paler—a super-light shade is far more delicate, and in turn, much easier to incorporate into your wardrobe than brighter varieties. What better way to welcome in the start of spring than a hit of baby-chick yellow? Style Notes: A pale-yellow top layered so well under a white silky cami dress. Spring perfection. Style Notes: Looking for a new hue to brighten up your dress collection? Look no further than pale-yellow sprigged cotton. Style Notes: Butter yellow makes for a dream pairing for both brights and more muted colourways, as seen on Ellie from Slip Into Style. Style Notes: There's something very 1950s about this yellow floral dress coat. All it needs it a pearl bag and elegant court shoes. Style Notes: If you want to amp up the personality, try a slightly brighter shade of pale yellow and add a statement belt. Style Notes: A shirt in the palest yellow is an easy sub-in for classic white, especially when paired with pastel tailored separates. Style Notes: We've seen quite a few pairs of yellow trousers on the high street recently. Reese Blutstein styles hers with a slogan tee and patterned shirt. Perfect for summer with a white tee. We're obsessed with Batsheva's floral designs. Try layering this over wide-leg trousers. A better version of a basic. Spring wedding, here we come. This yellow one-piece looks so expensive. We have so much time for Cecilie Bahnsen's oversized smocks. Everyone needs a little feather trim in their lives. These trousers will carry you through summer and into next autumn. The cut of this wrap top looks so high-end.